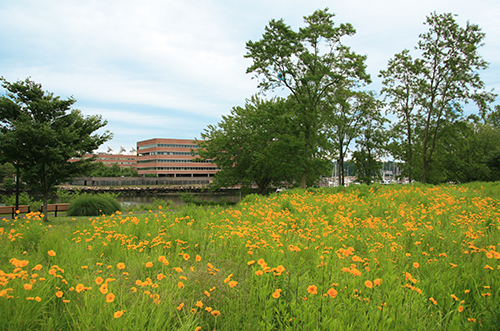 LWLA’s meadows at Kosciousko Park in Stamford, CT were featured in a recent article in The Stamford Advocate. The photo above shows them early in their development. This is the second recent article by The Stamford Advocate featuring LWLA’s work for their city. Click to see an earlier article about LWLA’s master plan work for Cove Island Park in Stamford.